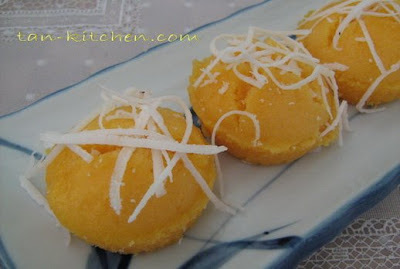 This is an interesting Thai dessert called khanom tua baep or Filled Wheat Flour Dumpling. 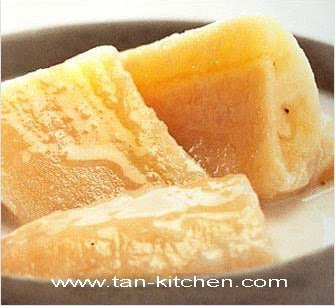 Khanom Tua baep is an ancient Thai dessert, easy to make but very delicious and also nutritious. 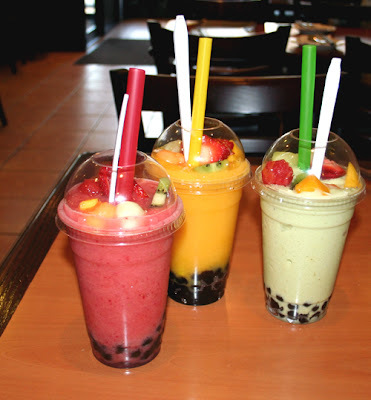 The ingredients which are easily found in one's own home include rice, sugar, and coconut or coconut milk. Low fat light and healthy. 2 pandanus leaves, cut into short length. Discard bad beans, wash and soak in warm water for 3 hours. Wash again and steam over boiling water on high heat for 30 minutes or until cooked through. 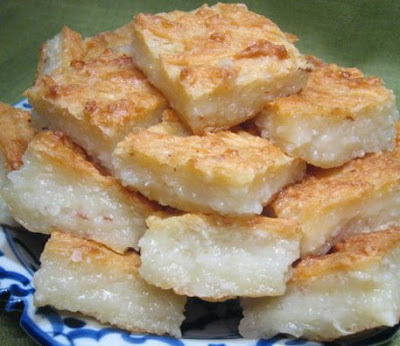 Knead the glutinous rice flour with coconut cream and pandanus juice to form a soft, smooth dough, set aside. Steam the grated coconut for 10 minutes. 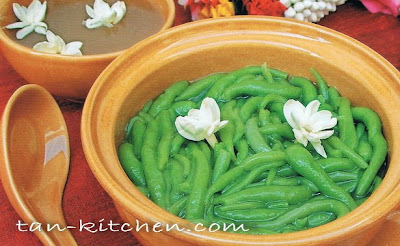 Take 100 grams of the steamed coconut and mix with the prepared mung beans and salt. This is the filling. Divide the dough and roll into small balls about I cm in diameter Roll out each ball into a disc about 1/4 cm thick. Place 2 teaspoonfuls of the mung bean filling on each disc, fold the disc in half over the filling, and pinch along the edge to seal. Continue until finished.